An hour and a half later, my friend and I left weeping and in awe, as we had been privileged to be in the presence of vibrant, pulsating, throbbing, supernaturally empowered, transformative new life in a follower of Christ, 21 months old in the faith. My friend and I had not said a word for ninety minutes. We sat and listened as the brother simply talked of Jesus and what Jesus had done, and was doing, for him since coming to faith. I have decades of prison ministry experience. I am alert to jailhouse conversion stories that are sketchy. This was the real deal: radiant, humility, gentleness, miracles of provision, miracles of providence, evangelism without Bible thumping, transformed behavior, over-coming faith in a hostile environment, and more. After that evening, both of us realized how rare genuine new creation new life can be, sadly so. It was encouraging and at the same time saddening to realize that we had to come to a jail to experience what should be normative in our so-called churches, but is in reality, often as rare as cats flying. Both of us are “highly qualified” to “minister.” I have a Doctorate and my friend a Masters in Divinity. We both have literally decades of ministry experience. We faced a choice of pressing forward with a “class of one,” or cancelling the “Bible study” because there were not enough in attendance to listen to us “masterfully exegete and expound from the scriptures.” I was so thankful that both of us have been delivered from a compulsive need to be listened to. We ended up being the recipients of ministry, throbbing with the vitality of heaven. Those of us with teaching gifts must learn that sometimes the best teaching we can do is none at all. We can be so addicted to the phenomenon of the sermon/lesson/teaching that it becomes an idol. We can be so addicted to the sound of our own voice, and our own need to be needed, and our own need to be heard, that in spite of lip service to Jesus being the Head of the church, we give Him no real opportunity to practically be so. We can be so enculturated to “sing, announcements, offering, preach, invitation, go home in time for the buffet and the game,” that we are the biggest impediment to the cause of Christ on the planet. We can be so conditioned to the “ministry of the word” (as in scripture) that we never allow the Word (as in Jesus) to minister. Insecurity in professional clergy is epidemic. Ego is epidemic. It masquerades under “people need to be taught sound doctrine,” when in reality it is nothing other than an unresolved need in the one doing the talking to be needed, validated, and depended upon in an unhealthy way. No real “equipping” for works of service occurs under the “ministry of preaching and teaching,” but rather eternal dependency and infancy. After all, a paycheck is usually hinging on being listened to. My friend and I made eye contact and restrained ourselves from laughing out loud. Here is a new convert, 21 months old in the Lord, who, with no “doctrine classes,” no long theology debates, no dependence on a “minister to teach him the truth,” no sermons and teachings on the Trinity and Arianism, no arguments, etc., has been led into Truth by the One who said He would do so if we would let Him. It works. Jesus really is alive from the dead and the Holy Spirit has not gone into retirement because we now “have the Bible to lead and guide us” . . . sigh. It is doubly disheartening to consider large segments of Christianity who venerate the Bible in an idolatrous way, would in their theology and belief systems, deny and disallow this very dynamic as legitimate. For so many Christianity has been reduced to nothing more than teach, teach, teach, teach, teach, teach, teach, teach, teach, teach, teach, teach, teach, teach, teach, teach, teach, teach, teach, teach, teach from a book – an informed and enlightened class of professionals (clergy) whose job it is to illumine the passive unwashed masses (laity). This is pagan at its roots even though it derives from the halls of the academy of 16th century Reformation Protestantism, or the soaring rhetoric of John Chrysostom in the fourth century. Of course there is a time and place for disciplined and formal instruction! However, sermon/lecture/classroom/sanctuary/passive audience is an overdone cultural assumption motif, not a biblical mandate of what that should look like. The point is, for 500 years within Protestantism, that motif has been given disproportionate place and disproportionate emphasis because those who control things in mainline Evangelical Protestantism are for the most part, pastor-teachers. 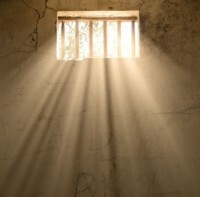 There is more to the kingdom and experiencing the presence of God than the singular expression of that gift ad nauseum, as our experience in a jail with a new convert so ably demonstrated. So, perhaps some of our straining and begging prayers for revival and more of the presence of God would be realized if we simply would stop what we are so used to doing and let Jesus really be the Head of His church. A friend of mine has succinctly defined “revival” as no more complicated than: “Hear Jesus, do what He says.” Simple and challenging at the same time. Perhaps the “more of God,” and “more of you Jesus,” “send us fire, send us rain, let the river flow, let the fire fall, come down, come up, come in, come out, put your right foot in and turn it all about, do the hokey-pokey” nonsense that we beg for in endless modern worship choruses in painfully long and dead “worship services,” would be realized if we quit singing about it. Maybe the most effective spiritual technique, the most powerful method, the most key element for an encounter with the manifest presence of God, isn’t “doing spiritual warfare in the heavenlies,” but rather to simply shut up long enough to allow Jesus to speak. Try it every now and then. I am confident you will experience what we did that glorious night in jail. Yes, being able to listen and receive, and simply enjoy the love and fellowship that we have together as family members in Christ. I think this is what Paul was talking about when he said that in the body, each joint supplies (each part ministers) for the building up of the body in love. This article thrilled my soul in so many ways. I was a drug and alcohol counselor for many years and often had the opportunity to introduce someone to Jesus. I was talking to the Lord about one particular person who I had “introduced to Jesus” and was talking to Him about why the young man didn’t seem to go forth. And I had a real lesson to learn with what the Lord told me. He asked me a question…oh, so like Him! Did you do what My Spirit was doing or did you follow the prescribed protocol for leading someone to Me? I had to reply, I did what I thought was the “way” to take advantage of an opening and that was to invite him to “accept Jesus”, etc. I even encouraged him to call the pastor he had been working with and tell him…which he did supposedly. But no fruit…no indication of any life. And I realized, I wasn’t listening or seeing what the Holy Spirit was saying and doing. I have repented of operating in this kind of framework apart from listening carefully to what Holy Spirit is saying and doing in a life. The Lord showed me very clearly I picked the fruit before it was ripe. Yikkes. I have told this to only a small group I attend and their response was not very positive.It was like evangelism in any form is better than none…..oh well, so we are learning in many facets about His Ways versus our way. Interesting Story – Yes, the reason we so often try to get a response is to validate our own need to chalk another conversion up to our account. Building relationship is more important than creating a convert. A thousand amens, Steve! Pew-sitters arise! As the Holy Spirit directs you tell us of your journey of love with Jesus. 15 Look carefully then how you walk, not as unwise but as wise, 16 making the best use of the time, because the days are evil. 17 Therefore do not be foolish, but understand what the will of the Lord is. 18 And do not get drunk with wine, for that is debauchery, but be filled with the Spirit, 19 addressing one another in psalms and hymns and spiritual songs, singing and making melody to the Lord with your heart, 20 giving thanks always and for everything to God the Father in the name of our Lord Jesus Christ, 21 submitting to one another out of reverence for Christ. Eph. 5.